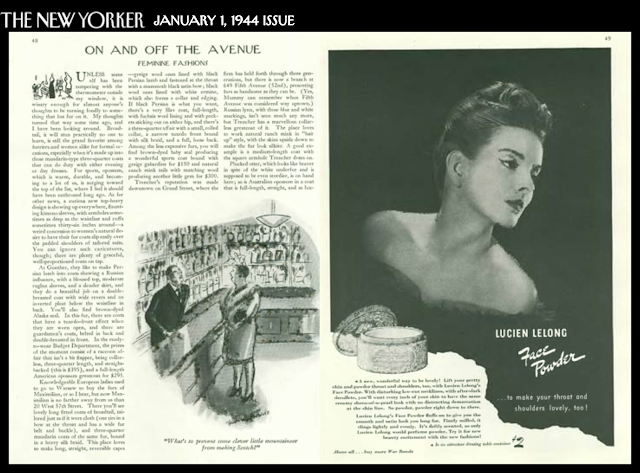 Of the four original New Yorker cartoons by Helen E. Hokinson offered last November at Doyle New York, three sold below the low estimate. 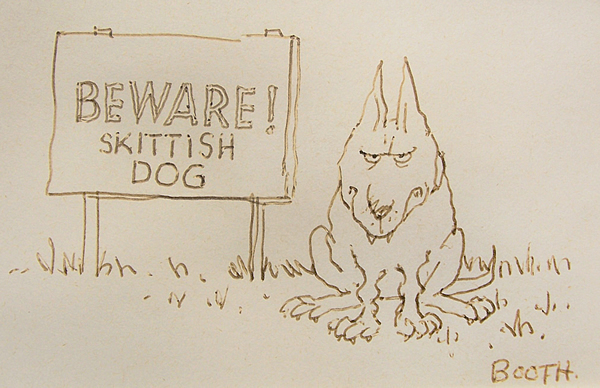 Only one remained unsold: this one. Has Hokinson fallen so much out of fashion? 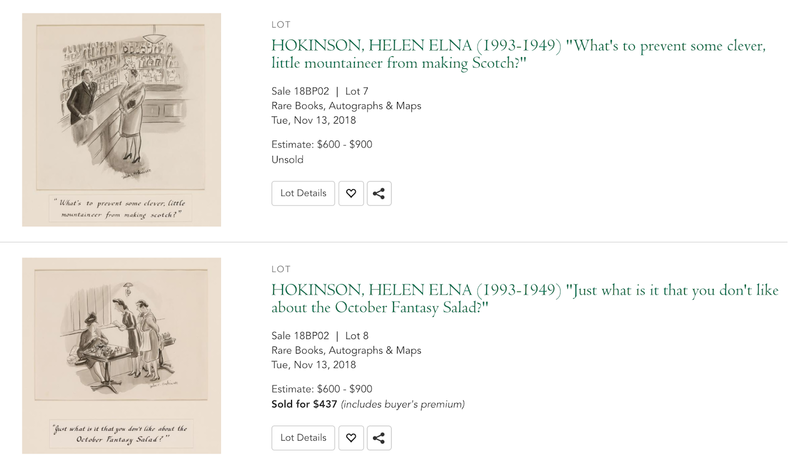 Surely some collector should have grabbed up this original drawing with its well-heeled shopper earnestly posing her naive query. 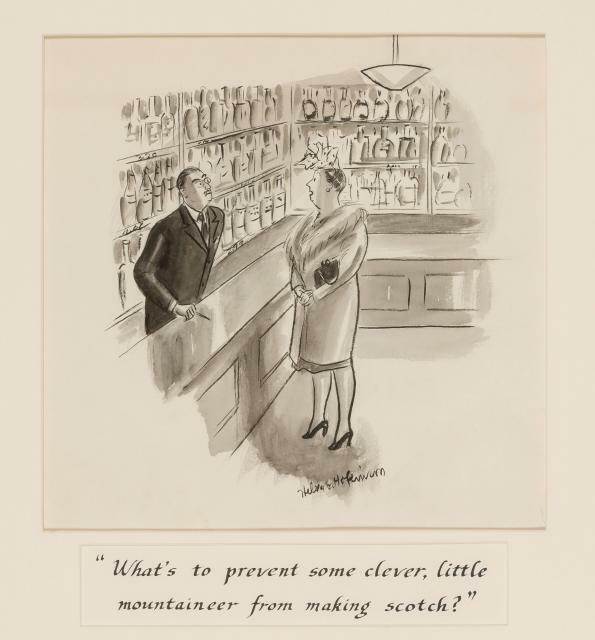 "What's to prevent some clever, little mountaineer from making scotch?" 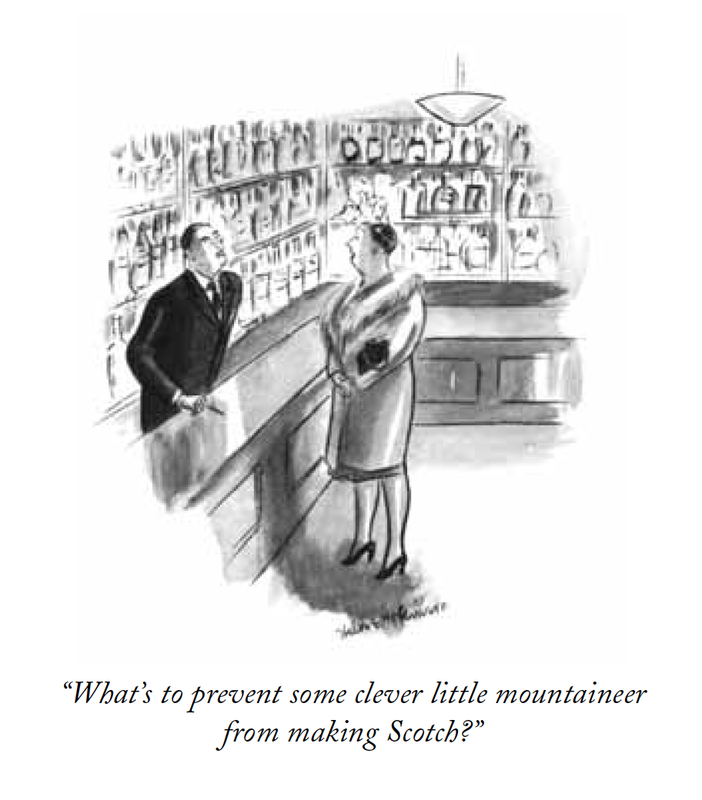 "What's to prevent some clever little mountaineer from making Scotch?"